The 2017 Cruze Limited offers more than you would expect to find in a compact car — starting with efficiency. 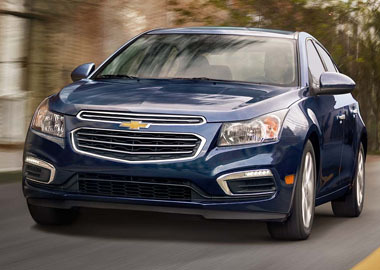 Cruze Limited offers an impressive EPA-estimated 40 MPG highway, and Cruze Eco Limited offers up to 40 MPG highway. The 1.4L turbocharged engine in Cruze Eco Limited offers an impressive 40 MPG highway. When equipped with the available 1.4L turbocharged 4-cylinder engine with the available 6-speed automatic transmission, Cruze offers up to 40 MPG highway. No matter which model you choose, efficiency is built in. Shown in Silver Ice Metallic, the Cruze Eco features 17" forged light-weight polished alloy wheels. There is plenty of room for cargo with an impressive 47.2 cubic feet of cargo space when the second row is down, for larger items. A prominent grille, stylish front fascia and available LED daytime running lights come together to produce a bold and sporty presence on the road. Entertainment comes standard with awesome features like the Chevrolet MyLink 7-inch diagonal color touch-screen. Also, with available 4G LTE Wi-Fi®, you will always be connected. 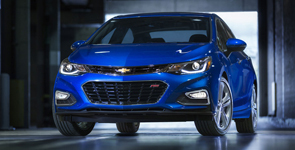 The first ever Cruze Hatch offers 47.2 cu. ft. of cargo space whenever the second row is down. 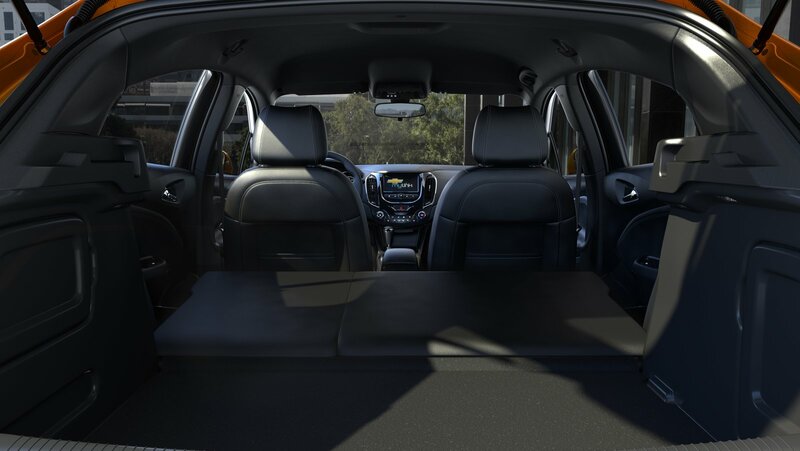 This leaves more than enough room for whatever you desire to load up your Cruze with. Use Bluetooth® wireless technology for easy access to your music, contacts, hands-free calls and more. Bluetooth connectivity for your phone comes standard on every model. Access to available 4G LTE with Wi-Fi® means the days of chasing down a Wi-Fi® connection are over. When your Cruze is running, you’ll have a more powerful connection than a smartphone, and it’s a fast and reliable connection. For the first time, Cruze features aerodynamic sculpting for a distinctly sportier appearance, and the available projector-beam headlamps with available signature LED daytime running lamps demand attention. And the Premier model takes comfort to the next level with standard heated front seats and available heated rear seats. With the powerfully efficient 1.4L turbo engine, your daily driving routine and nightly adventures will always be adventurous without sacrificing fuel economy. This compact car offers a variety of advanced safety features to help prevent, protect and respond in the event of an accident. Available Front Collision Alert uses an advanced camera to scan traffic for stopped or slowing cars in front of you and will alert you with a sound so you can take action if need be. Available Rear Cross Traffic Alert uses radar sensors to monitor traffic passing behind you and the Rear Vision Camera will visually warn you of those vehicles. Furthermore, Lane Keep Assist and Side Blind Zone Alert are available to help you stay more focused and aware of potential hazards on the road. The Chevy Cruze was the first car in its class to come standard with 10 air bags, side-impact and knee air bags, and a high-strength steel safety cage gives an additional peace of mind. Just more ways Chevy is all about safety. If a collision does occur, Cruze responds quickly with the available OnStar® Automatic Crash Response System, part of the Guidance Plan, is standard for three months. Crucial information is then passed onto trained OnStar advisors who can then request emergency services, even if you’re unable to respond.